One of Motown Records' earliest and most exciting vocal groups, Martha and The Vandellas achieved two Top Ten hits before the ascendancy of The Supremes. Driven by Martha Reeves' soulful, brassy lead vocals, the Vandellas became Motown's earthier, more aggressive "girl group" alternative to the Supremes. Martha Reeves, one of eleven children, was born in Eufaula Alabama on July 18, 1941. She moved with her parents Ruby and Elijah to Detroit, Michigan before her first birthday. Reeves spent most of her childhood singing and working in her grandfather's church. She attended Russell Elementary on Detroit's eastside and was taught vocals by Emily Wagstaff. Northeastern High School was where she studied voice under the direction of Abraham Silver, who also coached Florence Ballard and Mary Wilson of the Supremes, Bobby Rogers of the Miracles. After graduating from high school in 1959, Reeves joined the girl group called the Fascinations. They recorded their first record about 1960, backing Mike Hanks on "The Hawk" on Mah's Records. They also backed Leon Peterson on "I Know You Know" on the Bobbin label in 1962. Their first big break was working with local singer J.J. Barnes on "Won't You Let Me Know." The 1962 single on Rich Records credited both Barnes and the Del-Phis and led to the answer record "Ill Let You Know" on Check-Mate. In the late summer of 1960 Reeves met Rosalind Ashford and they were invited to join Annette Sterling and Gloria Williamson in the Del-Phis. After doing some local talent shows and jobs they recorded a single on Chess-Mate Records, a subsidiary of Chess Records in 1961. The Del-Phi"s recording that didn't make the charts was "My Baby Won't Come Back". Reeves as a solo entered and won a talent contest. The prize was a three day engagement at the Twenty Grand, a local nightclub where she sang as Martha LaVaille. On her last night, William "Mickey" Stevenson, an A&R and Berry Gordy's right-hand man at Motown Records, approached Reeves, after hearing her sing, and gave her his card. In 1961 Reeves was hired as his secretary. One day Motown head Berry Gordy needed background singers in short order for a session; Reeves and her friends, Ashford and Beard, were called in. They sang behind Marvin Gaye on "Stubborn Kind of Fellow," his first hit in 1962 and "Hitch Hike." A couple months later, Reeves again found her self in the right place at the right time. Stevenson had called over to the studio, where a union rep was checking to make sure the label was following the rule that a singer had to be on a mic when tracks were recorded. In Mary Well's absence, Reeves sang "I'll Have To Let Him Go, impressing Stevenson enough ask the Del-Phis to record "You'll Never Cherish A Love So True ('Til You Lose It)." The session was a success, but Gloria decided she didn't want to leave her job and left the group. The single was issued anyway on Mel-O-Dy as by the Vells. The rest of the group convinced Gordy that they were staying as a trio. Gordy then asked the girls to come up with a new name. They then called themselves Martha and the Vandellas, taking their name from Detroit street Van Dyke and Reeve's favorite singer Della Reese before recording "I'll Have to Let Him Go." Signed to the newly formed Gordy label in September 1962 as Martha and The Vandellas, the group's first hit was their second release, a beat ballad "Come Get These Memories" (#29 pop, #3 R&B 1963) and was Holland-Dozier-Holland's first collaboration as a songwriting team. "Memories" was followed by two explosive Holland-Dozier-Holland dance records: "Heat Wave" (#4 pop, #1 R&B, 1963) and "Quicksand" (#8 1963). After being turned down by Kim Weston, a Mickey Stevenson and Marvin Gaye composition,"Dancing in the Street" was given to Martha and the Vandellas; who turned it into their biggest hit (#2, 1964). Their other big hits included "Nowhere to Run" (#8, pop, #5 R&B, 1965) and "I'm Ready for Love" (#9 pop, #2 R&B, 1966), "Jimmy Mack" (#10 pop, #1 R&B, 1967) and "Honey Chile"(#11 pop,, #5 R&B, 1967) were the last Holland-Dozier-Holland compositions they recorded, and were their last big hits. By 1967, the group was billed as Martha Reeves and the Vandellas, as she was featured solely as lead for the group. Beard retired in 1963 and was replaced by former Velvelette Betty Kelly; when Kelly left four years later she was replaced by Reeve's younger sister Lois. Ashford quit in 1969 and was replaced by another ex-Velvelette Sandra Tilley. Tilley died during surgery for a brain tumor in 1981. The group disbanded in 1973 after giving a farewell concert on December 21, 1972, at Detroit's Cobo Hall. Lois Reeves went to work for Al Green. Martha Reeves launched a solo career, but her recordings for MCA, Arista, and Fantasy through 1980 failed to sell well. As recounted in her 1994 autobiography Dancing in the Street, Reeves believes that the groups succession was undermined by Motown and Berry Gordy Jr's. obsession with the Supremes. An example being "Jimmy Mack which was held from release for two years because it sounded too much like the Supremes then current singles. A strong personality Reeves clashed with Gordy demanding answers to business questions that most other Motown artist didn't ask until years after they left the label. Struggling to maintain a hectic schedule of recording and performing, Reeves became addicted to prescription drugs, exacerbating emotional problems that led to nervous breakdowns and a period of institutionalization. Reeves has been drug free since 1977. In 1989 she, Ashford and Beard sued Motown for back royalties. In 1974 Reeves signed with MCA Records, Her debut solo album, Martha Reeves produced by Richard Perry, had a minor hit "Power of Love". Other solo albums were We Meet Again, and Got To Keep Movin on Fantasy Records, and The Rest of My Life for Arista Records. Though her solo records have been critically acclaimed, Reeves has never achieved the success that she had enjoyed with the Vandellas. Reeves currently resides in Downtown Detroit after living twelve years in Los Angeles. 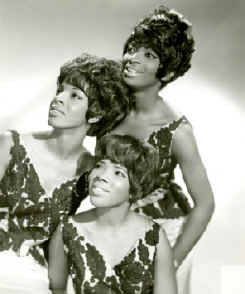 She continues to tour and record; sometimes the Vandellas consists of her sisters Lois and Delphine. On special occasions, she performs with Beard and Ashford. Rosalind Ashford has just retired from Ameritech and Annette Sterling has worked at St. John's Hospital as a phlebotomist for the last forty years.